WOW! 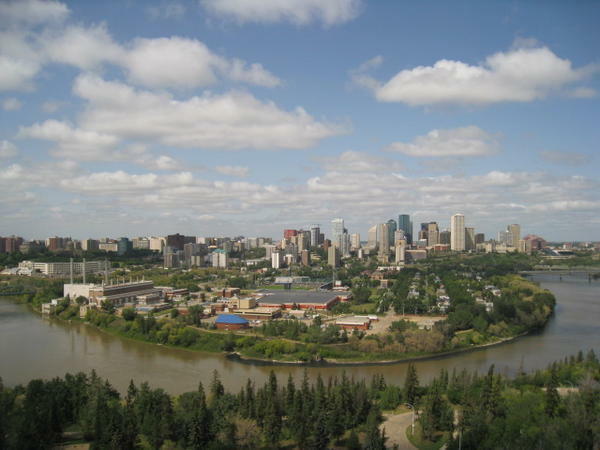 Breathtaking panoramic views of the City's river valley and downtown from your balcony! Sit, relax and enjoy the view each night! This executive condo has it all! Hardwood flooring throughout. Big, open, spacious living room. All new white appliances in the kitchen, including built in dishwasher. Gorgeous lighting throughout. Open bar/island kitchen - perfect for entertaining. Large bedroom with floor to ceiling double closets. Upgraded bathroom with huge tub and gorgeous countertops. Large storage closet in your suite. Card swipe laundry - easy and extremely safe! One underground parking stall. Unlimited access to on-site pool. Utilities included in rent. Very elegant building. Perfect for the executive or professional. Call 780-701-7400 to view your new home today! No Smoking. No Pets. Heat, water AND power INCLUDED IN RENT - all you pay is for your own cable/phone/internet if you so desire.